There has been a lot of debate in the world of technology, since the launch of iOS 6, on whether Android can keep up with it. 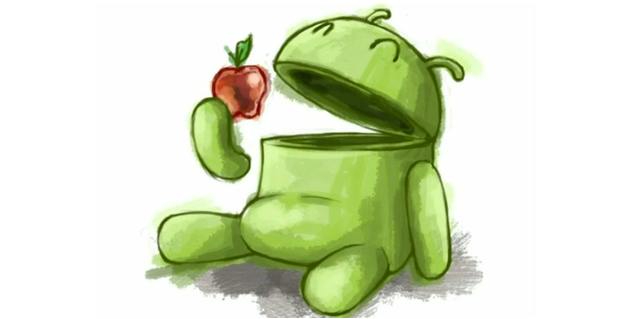 Eventhough Apple has come up with tons of new features, including the "i know it all" Siri, I prefer Android Ice Cream Sandwich more. Yes, Apple has been trying to incorporate multi-tasking since a long time, but till now this feature is not so impressive. The Android Ice Cream Sandwich is awesome. Especially, the list of apps you get when calling the recent menu. Its quick and does full justice to the title of this comparison. Its not only Youtube that uses flash. There are many websites which use flash to display interactive content. Bringing HTML5 full support in Safari is good enough, but flash is flash. We don't have so advance HTML5 applications developed yet. Android lets you interact with the system at its deepest. You can customize any kind of system file you want. The android developer tools are more well featured than the Apple counterpart. Hell, you can even change the boot screen like Windows on Android. The open source nature of Android gives a lot of freedom to all the developers out there. Yes, Android doesn't have so many apps pre-loaded in the system. But all the utility counterparts of Apple are available on Google Play. And the best part is most of them are free. Tell me your views in the comments!